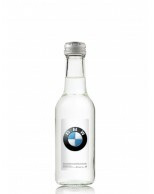 Custom labelled bottled Mineral Water creates an affordable way to promote your customer’s name, logo and message. 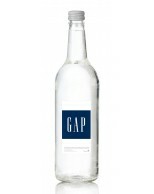 Promotional bottled water is a high impact, healthy and affordable way to increase company awareness. Corporate Event & Exhibitions – What better way to raise your customer’s company profile than with promotional bottled water. Their name and logo will be everywhere when it is branded on a bottle. Hospitality – Our stylish glass bottle range complimented with your customer’s personalised logo and label design will provide a classy addition to their restaurant tables. They can create their own brand and promote their business. Schools & Colleges – Promote a healthy message by providing refreshment for your customer’s pupils with bottled water. Events – It may be at a festival, show, sporting event or even a wedding where promotional water makes a welcome and visual giveaway or great table talking point. Fund Raising & Sponsorship – A high impact way of promoting your customer’s message at sponsored events. Personalised water is a useful and visible gift. 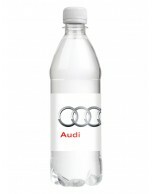 Business Promotion – Refresh your customer’s clients and display their message with promotional bottled water. Retail & Food Services – Create and retail your customer’s own brand of bottled water ensuring their logo receives optimum exposure.